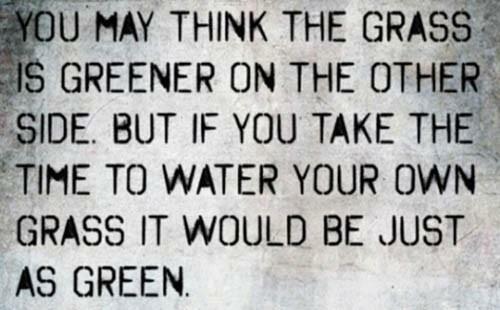 The Grass is Greener syndrome! Image | This entry was posted in inspirational and tagged ctyoga, grass is greener, grass is greener syndrome, inspirational. Bookmark the permalink.